We are proud to ship to all countries within the EU. You can check our shipping information page for a more detailed list of countries we can send seeds to. 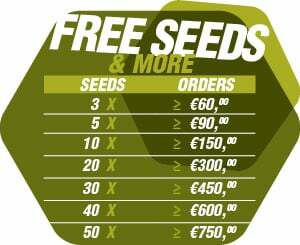 We want to offer the best service we possibly can, so, as standard, we send out all of our cannabis seeds free of charge! That’s right, it doesn’t cost you a thing! On rare occasion, shipping to certain countries may incur an unfortunate additional charge. If this is the case, we shall make it clear on our shipping information page, as well as during the checkout process. We begin the shipping process as soon as payment is received. While we strive to send out all orders on the same day payment is received, if it is late in the day, your order may not be dispatched until the following evening. How do you ship your cannabis seeds? Is it discreet? For many customers, discretion is key. As such, we at Zambeza do everything we can to ensure your privacy is maintained. We use complete stealth packaging when sending out any order; this means we do not put our company name or logo on your package, nor is there any indication what the package contains. All that goes on the package is your address and the courier’s sticker. By doing this, we ensure complete discretion. The only person who knows what is in your delivery will be you. We use a Track and Trace service to send out all of your seeds, meaning you can watch your seeds on their way to you using the supplied tracking code. How long they take to reach their destination will completely depend on where you live within the EU. For estimated delivery times, take a look at our detailed shipping page, here. My tracking information is not working, is there something wrong? Tracking is activated a couple of days before the parcel arrives in the country of destination. 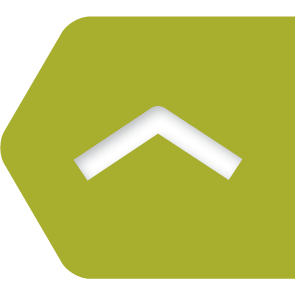 You can keep an eye on the status of your package here: www.trackyourparcel.eu. Simply enter your order number as the reference for tracking. I did not receive my order, what next? You should receive a tracking number to your email when your order is shipped, allowing you to monitor its progress on its way to you. Please check your spam if you did not receive this. If you have not received your order in the time expected, please check the estimated shipping times for each country detailed on our shipping page. Please note: these estimated times only count weekdays, Saturday and Sunday are not included in the estimation. If the estimated shipping time has passed, please get in contact with our Customer Support and we will be happy to help. We will not be able to consider replacing any lost seeds, or make inquiries with our courier, until the estimated delivery time has passed. We cannot be held responsible for any loss incurred due to confiscation or interception by customs. We will send you email updates every time the status of your order changes. Once we have received payment, our warehouse team will get to work packing your order. You will receive an email letting you know that your order is “in shift,” simply meaning our warehouse team are on the job! Once we have shipped your order, we will update you again to let you know, with a tracking code for the courier, if applicable. Unfortunately, we cannot ship to any P.O. Box. What is your shipping company? Our Spanish Shipping Partner ships the order to your country. We have an excellent shipping partner who delivers all of our parcels for us. In order to offer the best route, they use a variety of postal services. Some of them are: Germany (DHL), France (Colissimo), Italy (SDA Italia), Belgium (BPost), Spain (Correos), Netherlands (PostNL), Portugal (CTT), UK (Hermes). You can always assume that your parcel will be checked by your national customs agency regardless of the shipping method chosen. We cannot provide information about the legal status of our products in your country since it is impossible to keep track of what is legal in the many countries we ship to. It is your own responsibility to research your local laws and regulations before ordering with us and we cannot be held responsible if your parcel is stopped by customs.